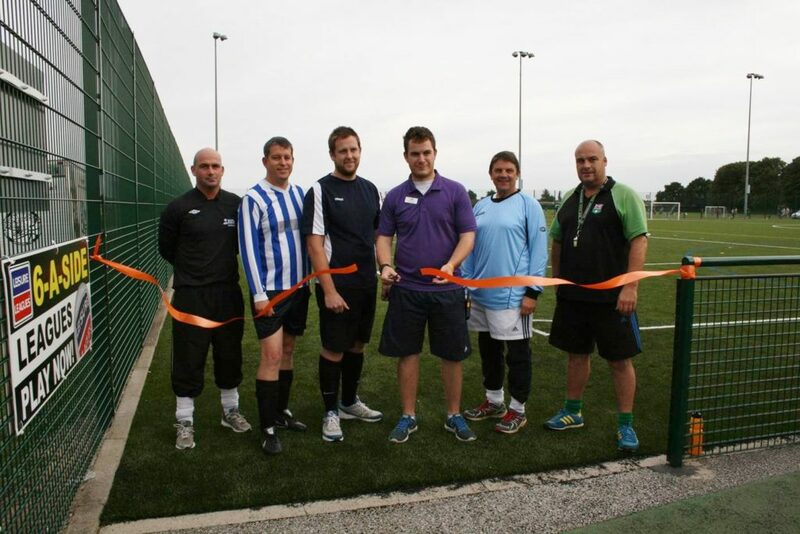 Woodhead joined North Kesteven District Council and Leisure in the Community to celebrate the completion of North Kesteven Sports Centre’s brand new 3G sports pitch. They will mark the successful project with a two day Football Festival, being held across two separate weeks in August and September. Woodhead began work at the sports centre in June replacing the old sand-based pitch with the modern 3G carpet. The ‘carpet’ meets both Football Association and Hockey Association standards and is a blend of grass-like fibres attached to a special backing. The first of two footballing events took place on Wednesday 27th August from 6pm-8:30pm at North Kesteven Sports Centre and will see teams from North Kesteven District Council, SCAPE, Leisure in the Community and Woodhead taking part in the project team football tournament. All money raised will be donated to North Kesteven District Council’s nominated charity, the Lincolnshire & Nottinghamshire Air Ambulance. The tournament will form the first part of the two day Football Festival at the sports centre, the second of which will take place from 9am till 12noon on Saturday 6th September, when local football teams from across the North Kesteven District have been invited to play in a community football festival. The event will be a family fun day for the whole community to come along and see the new pitch as local teams put it to the test. North Kesteven District Council procured Woodhead through the empaii framework to carry out the work. The framework aims to improve the delivery of property services to local communities and the 3G sport pitch is the first project to be completed by Woodhead as part of the empa innovation and improvement (empaii) framework. Glenn Slater, Business Development Director from Woodhead, said: “The sports pitch marks the completion of our first empaii framework project and will be a valuable resource for the development of local sports activities. Visitors wishing to attend either of the Football Festival events are welcome to come along to North Kesteven Sports Centre, Moor Lane, North Hykeham, Lincoln, LN6 9AX.